Back in 2010, my wife and I took a Seattle to New Orleans summer road trip, detailed on this site as the All-American Road Trip 2010. 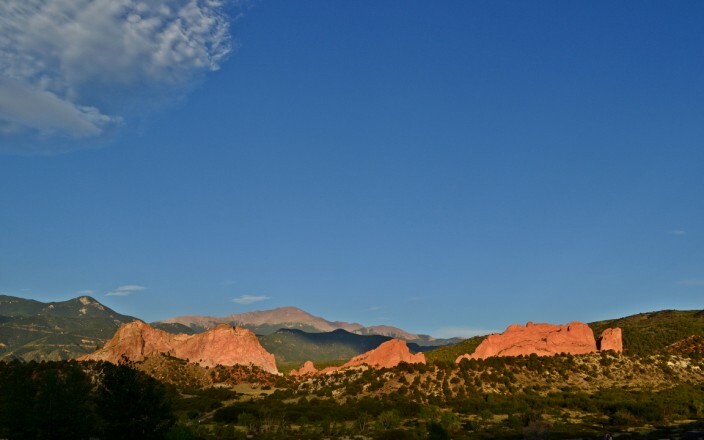 Of all the thousands of miles traveled and ten states visited on that journey, our consensus favorite state was Colorado. We promised ourselves then that we would return some day for a more extensive visit, and recently we got to do exactly that. This time, however, we had neither the time nor inclination to drive, opting instead to fly in to Denver from Seattle. It’s only about a two-hour, fifteen minute flight which, after enduring numerous flights from Seattle to Ukraine in recent years, seemed very brief. My cousin’s son, Jonathan, offered us the run of his home for the duration of our stay and we can’t thank him enough for that act of generosity. He lives in Aurora, about a half hour drive from Denver. Using that as our home base, we spent ten days exploring as much of the area as we could squeeze into that time frame. 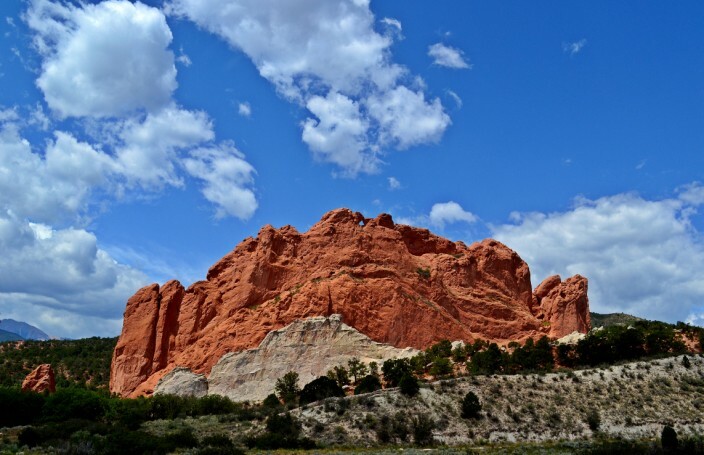 With so many fabulous sights to see and things to do, it was tough to even know where to begin, but one item near the top of our agenda was visiting the Colorado Springs area. 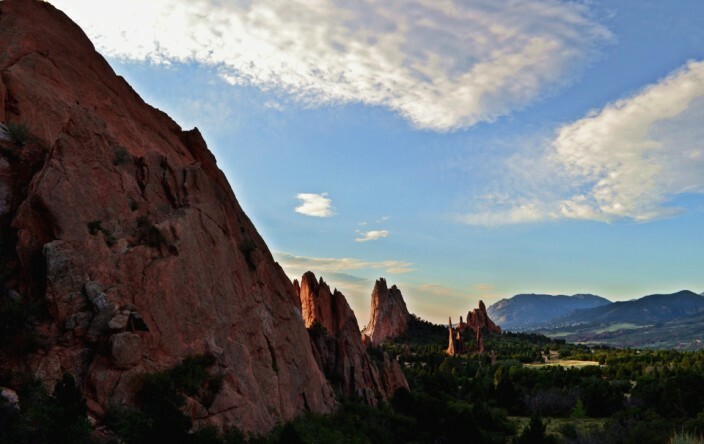 We’d only done a drive-by on I-25 of Colorado Springs during our 2010 trip, and this time we made it a point to spend a couple of days in and around Colorado’s second most populous city. 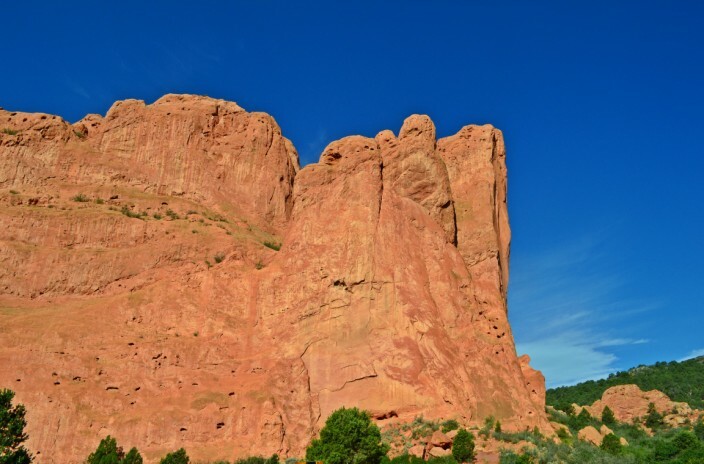 Despite a population of over 400,000 people, Colorado Springs doesn’t feel that densely crowded due to the fact it sprawls over 195 square miles, a larger area than Denver. 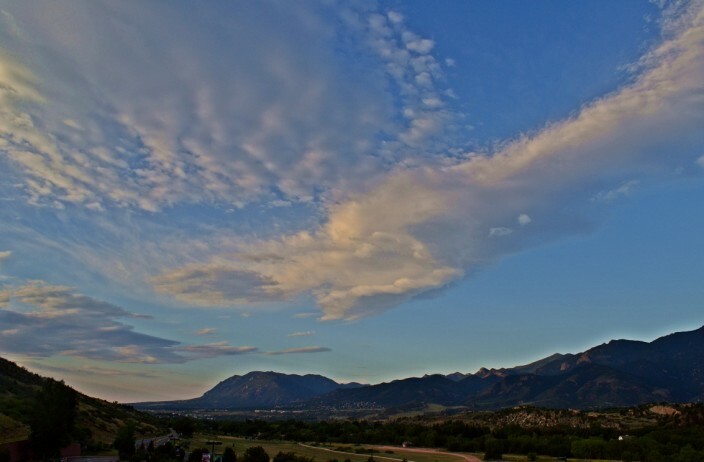 The city is home to a lot of high-tech industry and also famous for being the permanent site of the U.S. Olympic Training Center and U.S. Olympic Committee. 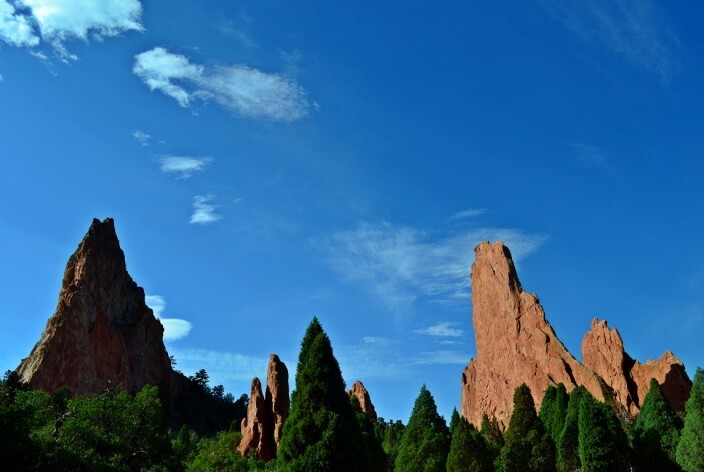 Colorado Springs is also one of the country’s major defense and military hubs, with the U.S. Air Force Academy, Fort Carson, Schriever Air Force Base, Peterson Air Force Base, and the NORAD and Cheyenne Mountain Air Station all located in the general vicinity. 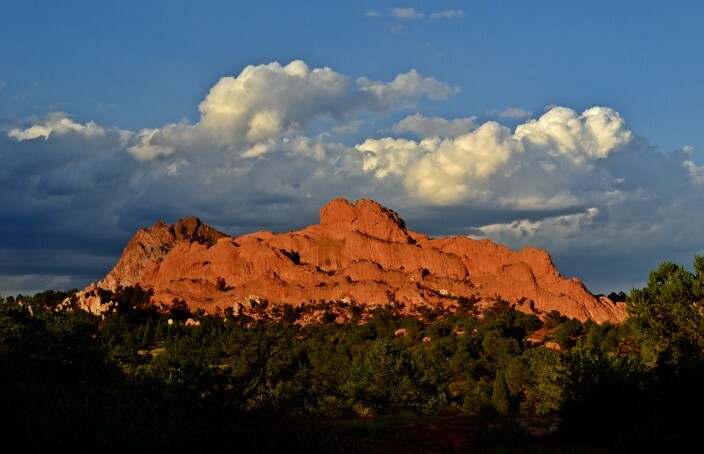 If you’re looking for outdoor activity, Colorado Springs can’t be beat for natural attractions, and with over 300 days of sunshine a year, the weather will rarely stop you. 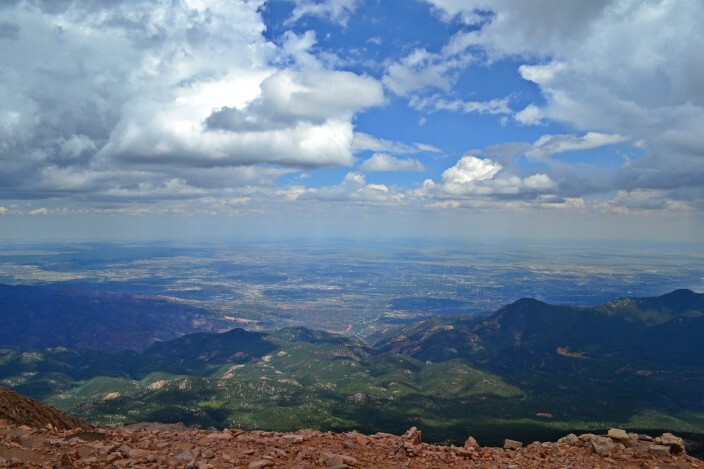 Pikes Peak is, of course, one of the main draws, lying a short drive away in the Southern Rocky Mountains. 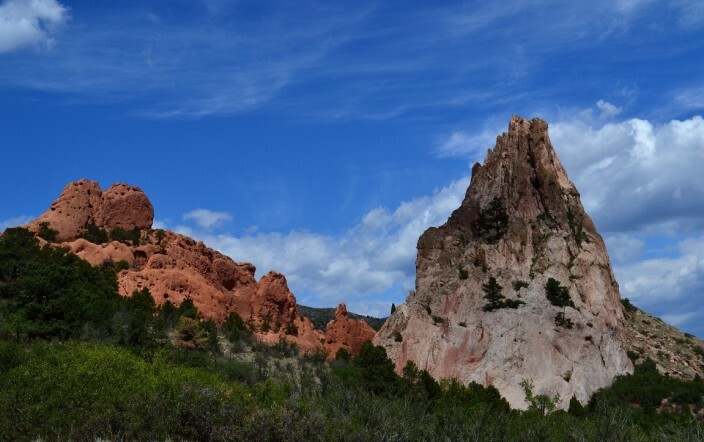 In the foothills just above the city, however, lies the Garden of the Gods, and after exploring it at some length, I have to say it is one of the more aptly named places I’ve ever visited. 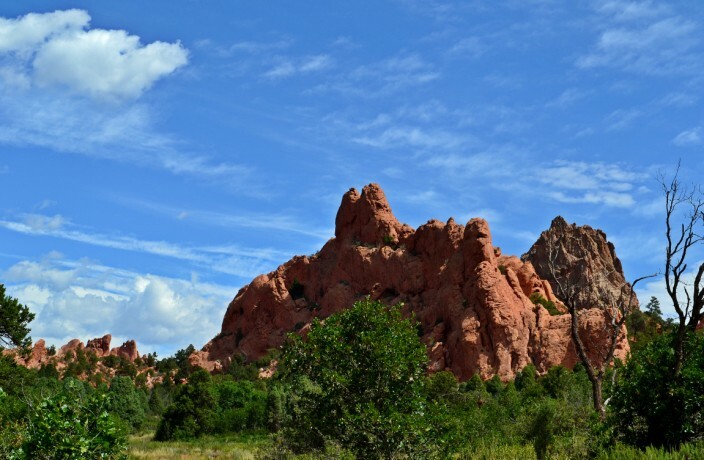 Garden of the Gods is a public park run by the city of Colorado Springs, and designated a National Natural Landmark in 1971. 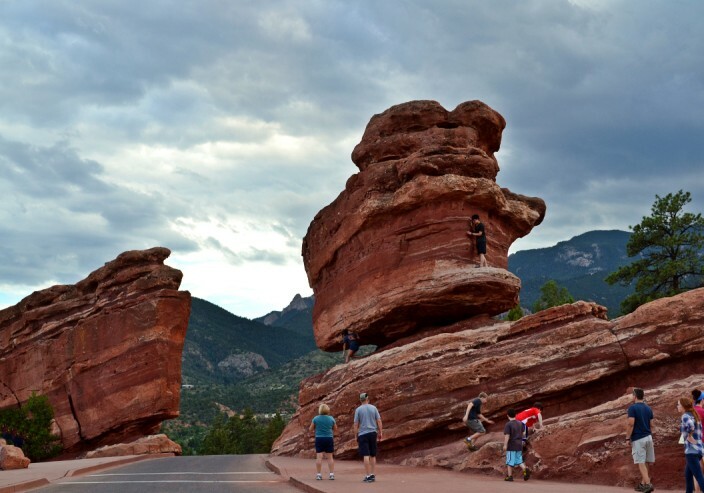 It was voted second best park in the nation on TripAdvisor’s Traveler’s Choice Attractions 2013 list. Once you’ve been there, the only question is why wasn’t it ranked number one? Spectacular red rock formations of every conceivable and not so conceivable shape and size seem to erupt at will throughout the park. What makes it uniquely attractive to me is that these rocks sprout amidst dense evergreens and plenty of other foliage, providing a lovely contrast to the rocks. 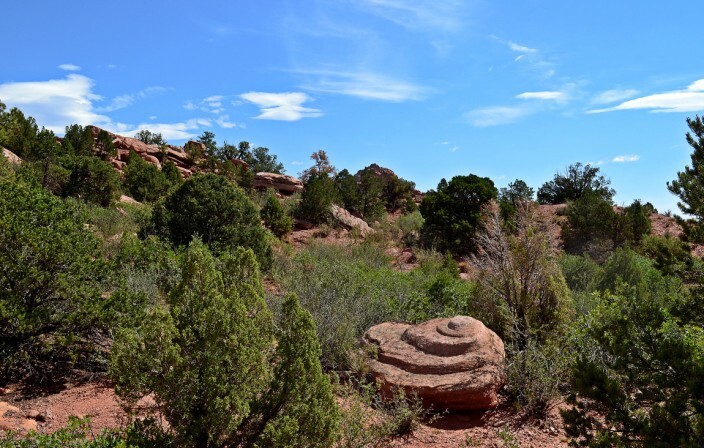 When we visited Arches National Park in 2010 the thing that struck me most apart from the sheer size and scope of the rocks was how barren and inhospitable the entire landscape was. 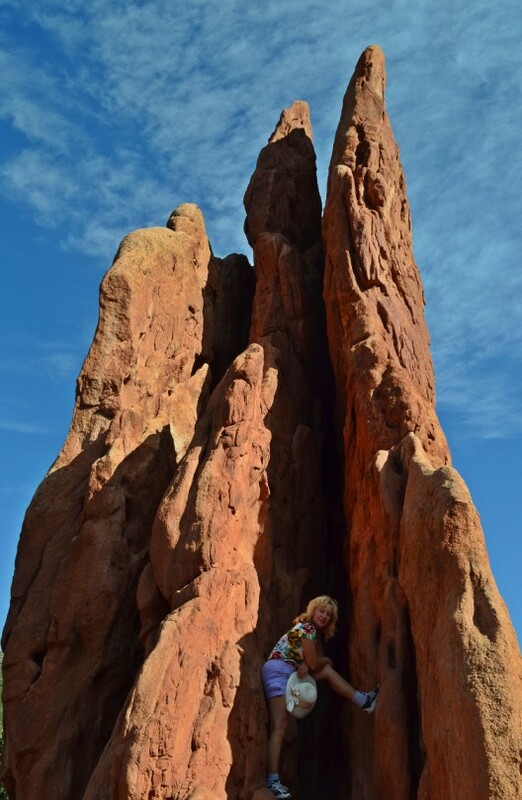 Garden of the Gods, for my money, has the best of both worlds, with the incredible rocks and some nice greenery to compliment it. 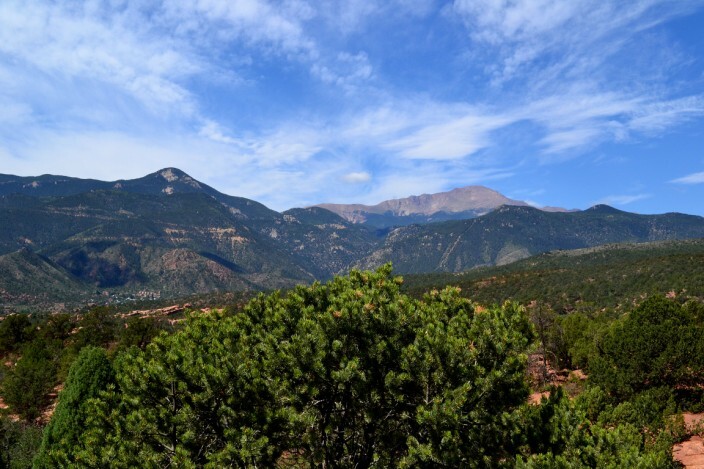 The park was established in 1909 and is comprised of 3,300 acres, containing more than 15 miles of trails, with a 1.5 mile paved and wheelchair accessible trail running through the heart of the park. 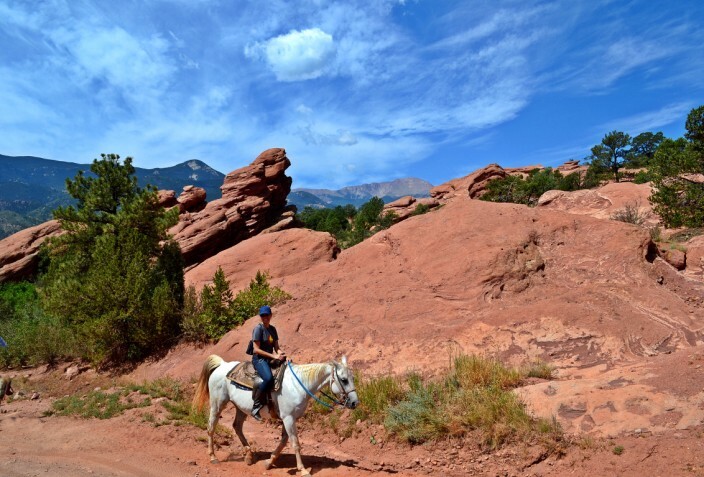 Hikers, cyclists, joggers, equestrians and climbers make it Colorado Springs most popular park by far, with more than two million visitors per year. 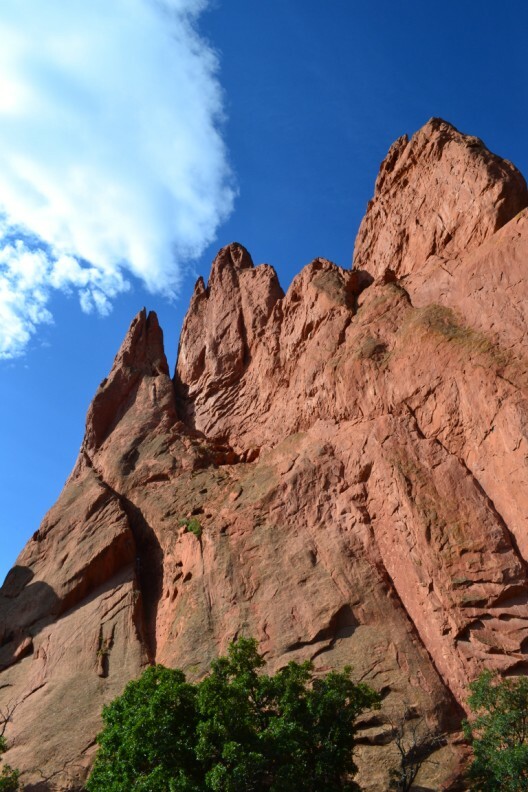 It’s a mecca for technical rock climbers (you have to register and be properly equipped before you can climb) and of course, for photographers of every stripe. Our first time in the park was a brief run-through in the late afternoon and early evening. I lucked out with some tremendous cloud formations and light from a clearing thunderstorm, a common summertime occurrence. A few days later we returned pre-dawn to capture an entirely different sort of light, and it was well worth the extra early wake-up. It also allowed us to hit the trails and be done before the heat of the day set in. A bit dry and dusty to be sure (this coming from a web-footed Washington Cascade mountains hiker) but definitely one of the finer days hitting the trail that I’ve experienced in many a year. Not your get-away-from-it-all, deep wilderness type of hike, but as beautiful a slice of nature as you’ll probably ever find so near to an urban area. 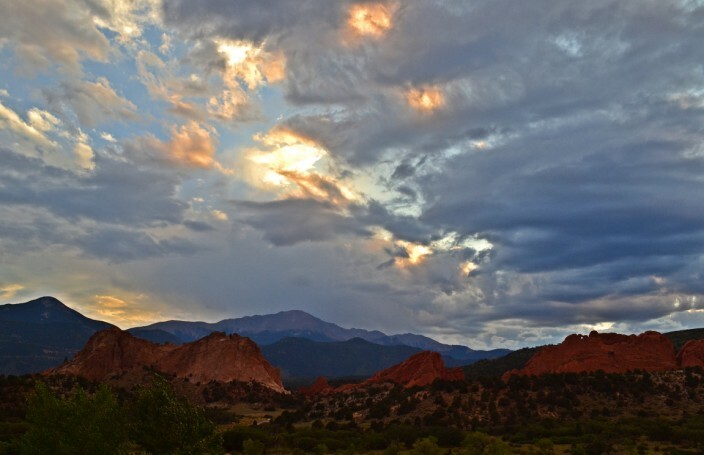 If you’re ever in the Colorado Springs area, do not miss the Garden of the Gods. Thanks Becky. Of all the states I’ve visited, I’d have to say if I didn’t live in Washington, I’d be happy in Colorado. 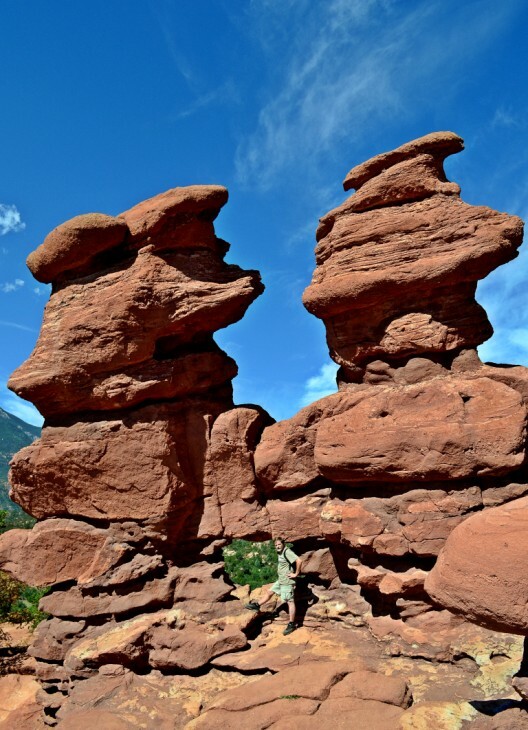 Colorado is definitely a place on my list, beautiful photos by the way!